You’ve probably heard that your credit score is really important and that you need to get it higher. You know that you need to pay your bills on time, don’t close credit card accounts, and be careful about how much you spend. Well, only part of that is true. But the real question is do you know why? Why is your credit score important? How important is it really? And how exactly can you improve it? Some financial experts will tell you not to worry about it and that it really doesn’t matter. Again there is some truth to that. You shouldn’t stress out about your credit score. But I will show you below, exactly why you should care, and how you can get a good score. Unfortunately, there isn’t just one credit score. Many people have heard of the FICO score, which is the one that is most widely used, but there are more scores that other lenders will use to evaluate your ability to manage borrowed money. However, there isn’t just one FICO score either. FICO (Fair Isaac Corporation) is a company that has developed a model that assess your credit-worthiness based on your credit history. They use a baseline model to determine how much risk you would be to a lender. Then that baseline model can be altered slightly depending on what type of loan/credit you are applying for. For instance, FICO may provide a different score to a mortgage lender, an auto lender, and a bank all for the same person. The three main credit bureaus (Equifax, Experian, and TransUnion) can all have slightly different scores. This happens because sometimes your credit reports can vary from bureau to bureau. It all depends on what gets reported and when it gets reported. Not only that, there is another score called the Vantage score than is now becoming more popular. Basically, the Vantage score is one that the three major credit bureaus came together to create. They created this score as a way to compete with FICO and sell the vantage score to lenders. So as you can see there are many different scores out there and it is all extremely confusing. If you’re interested in learning a little more about the different scores ready for zero blog posted a great article talking about different scores. You can read about it here. However, don’t all of the different scores overwhelm you. Luckily, the scores use very similar metrics for evaluating your worthiness. So if you have a high score of one type, it is highly likely that your other scores are very similar. Let’s keep going and break down what all goes into these different scores. A lot of people get these terms confused. A credit report is a document that gives information about your credit history. It includes loans, dates, credit limits, the age of accounts, when you paid, balances, days late, and specific institution names. It attempts to track everything you have done related to borrowing money in any fashion. There are three major reporting agencies as mentioned earlier. Equifax, Experian, and TransUnion pretty much monopolize the credit reporting market. Almost every lender gets its information about you from one of these three agencies. Currently, the U.S. Law entitles you to one free credit report from each of the big 3 once every 12 months. You can request them all at one time, or you can request them throughout the year. You want to be sure you get all three of them every single year in order to check for any errors. Unfortunately, these companies aren’t perfect and sometimes they have the wrong information on your report. So be sure to check and get your free reports every single year. You can go to Annual Credit Report to get your free reports. Unlike credit reports, credit scores do not provide you with detailed information. 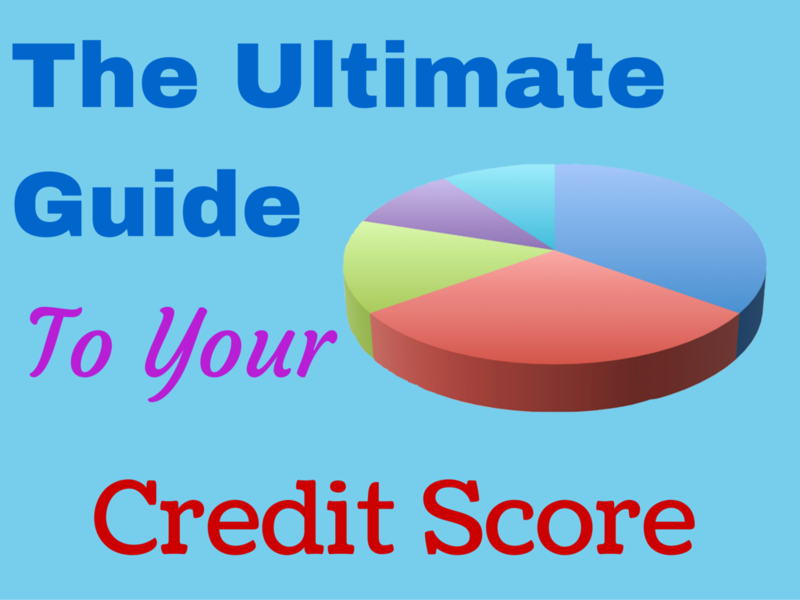 It is simply an objective score that is based on the information in your credit report. That’s why you want to get your free reports and check them often to make sure that your credit score is being calculated from correct information. You will hear people talk about why you should and shouldn’t care about your credit score. Some people argue that the best credit score is 0 because that means you have no debt. I agree with the people who are on the street corners yelling at the top of their lungs that debt is bad and should be avoided at all costs. I agree that the majority of people don’t handle debt well, are too emotional with money, and should probably cut up every credit card they have. However, I also recognize that if used responsibly, your credit score can help you a lot, especially if you are young. Apartment Renting: Easily being able to rent an apartment. Yes, some people will argue that you don’t need a credit score to do this. And while that is technically true, it is a major pain because it limits the places you can look. Waived Fees: You can get fees, down payments, and deposits waived for having a good score. I was able to get a $300 deposit waived from my utility company when moving into my first apartment because I had a good credit score. Lower Mortgage Rates: They help you acquire lower rates on home mortgages. Again the “We hate credit score” crowd will tell you that you can get around this by showing the bank other factors and using a process called manual underwriting. However, if you are young and don’t have a long history of employment, paying timely bills, or have 20% to put down it can be very difficult to get a manually underwritten loan. This means you will have to rent longer than you would if you had a good credit score. This isn’t necessarily bad, but if you live in a low cost of living area and plan to be there for a long time, it often makes more sense (mathematically) to get a home. Car Insurance: A good credit score can lower your rates on car insurance. The last time I applied for car insurance I was asked if they could check my credit score. I know that I have a good score so I was more than happy to let them. What do you know, I was able to get my insurance rates lowered because of my good credit score. Cash Rewards: If you use credit cards for cash rewards, having a good credit score helps you get approved for more advanced cards. For instance, I was able to qualify for few premier credit cards earlier this year and was able to get over $800 cash back in a matter of 3 months, all for free. And I wouldn’t have been able to do that without an excellent credit score. You will hear people tell you that if you have a good credit score it means that you use debt a lot. I have an excellent credit score and I have never paid a dime of interest on debt in my entire life. Credit scores are similar to credit cards. They are a tool that can be extremely helpful and make your life easier. But if you focus on them the wrong way and live your life based on debt, they can be extremely hurtful. Like I said earlier, there are a few different credit scores with their own ranges. Luckily, the two most important credit scores (FICO and VantageScore) use the same range of 300 – 850. Obviously, this will vary from lender to lender, but if you can get and keep your credit score above 700 you should be good. If you can get it to stay above 750 you’ll typically be able to get approved for the lowest mortgage rates around. Now let’s take a look at how we can get it there. I’m going to focus on how the FICO score is calculated. If you can understand the FICO score and learn what to do to get it high, then your other scores will follow. Your credit score is calculated from information found in your credit report. The score is made up of 5 different metrics. This is the most important factor of your score and makes up 35%. This category looks to see if you are paying your current creditors and lenders on time. If you aren’t doing this, you have bigger issues than a bad credit score. As I talked about in my post on credit cards, you need to be paying your bills in full and on time every single month. You need to strive to make no late payments. Ever. The payment history looks at every time of lending accounts such as credit cards, installment loans, mortgages, retail store cards, and finance company accounts. This category can be confusing. And it makes up a huge part of your credit score, so we need to make sure we get it. Let’s break it down between “revolving credit” and “installment” loans. For revolving credit, it looks at the total available credit compared to the total amounts owed. This is known as your credit utilization ratio. Your credit utilization looks at all of your revolving accounts. Let’s say you have three credit cards: a Discover, a Sam’s Club Mastercard, and an LL Bean Visa <— Why do you have this?? On the Discover card, your credit limit is $3,000 and you currently have a balance of $450. On the Sam’s Club card, your credit limit is $4,500 and you currently have a balance of $1,100. And for the LL Bean, you have a limit of $1,500 but your balance is $700 because you bought way too many pairs of boots. This means your total available credit is $3,000 + $4,500 + $1,500 = $9,000. And you currently owe $450 + $1,100 + $700 = $2,250. This means your utilization ratio is $2,250/$9,000 = 0.25 or 25%. In order to maintain a high credit score, you want to keep this utilization ratio under 10%. As a good rule of thumb, that means try to keep each card’s balance below 10%. If you are consistently using a lot of your available credit, even if you’re paying in full, you look risky to lenders. The other area that counts for “Amounts Owed” is your installment loans. This means if you take out a loan for $10,000 to buy a car, FICO is looking at how much more you owe on that loan. If you’ve currently only paid $2,000 then that means you still owe more than 80% of the loan (including interest). Paying down your loan amount will help improve your credit score. The main factor here is how long your credit accounts have been established. FICO looks at your oldest account, your newest account, and the average age of all your accounts. So as long as your first credit card doesn’t have an annual fee, you should always hang onto that card. In general, the longer an account is open, the better your score will be. Keep in mind that this does consider the average age. So if you plan on buying a house soon, you probably shouldn’t open up a new credit card a month before because it will take the average age of your accounts down. Many people think that applying for new credit will hurt their score because of someone “checking” their credit. However, most of the time if your score takes a small dip it is likely due to the age of the accounts being newer. This makes up a very small portion of your credit score, so I wouldn’t worry too much about it. But essentially it looks to see if you have multiple types of credit. For instance, do you have a car loan, credit cards, and a mortgage? Or do you just have credit cards? Lenders view you as less risky if you have various types of accounts. However, this doesn’t mean you should go get those types of loans just to improve your credit score! I hate car loans, and I’m passionate about staying out of debt. I’ve never had a car loan, and I don’t plan to, yet my credit score hovers around 770 – 780. You can have an extremely high credit score without getting an installment loan. Like I said earlier, I never pay interest on my credit cards, and yet my score is still high. Don’t fall for that lie. Your credit score is only good if it helps you stay out of debt and get rewards. It hurts you if you use it as an excuse to go get a loan. 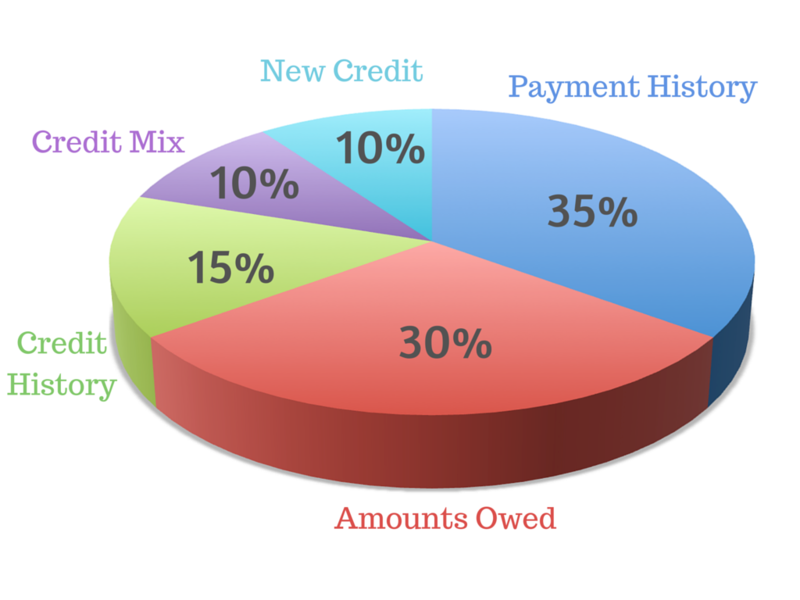 Another small portion of your credit history looks at how often you open new credit accounts. If you are young and don’t have a long history, it is best to not open a lot of new accounts within a short period of time. The less often you open accounts the less risky you look to a lender. Simple as that. If you are just starting out and have no credit history the best thing to do is apply for a credit card that has no advanced reward systems or special promos. Go with a simple Chase Freedom or Discover it card for just starting out. The key thing is that you will need some type of income. You will probably start with a very low credit limit, say $500. But often you can increase that easily after a few months of on-time payments and keeping a low monthly balance. Often times for your first credit card you will need to get a secured card or become an authorized user on a card. I don’t recommend getting a co-signer because that can end up in some very nasty situations. A secured card is meant to be used only for a short time to prove that you are responsible. Essentially it is backed by a cash deposit that you give the bank or lender. This cash deposit is equal to the credit limit on the card. It doesn’t work like a debit card where you spend the cash deposit. Instead, that deposit is used as collateral if you decide not to pay. You will use this credit card like a normal card where you buy stuff, make payments, and be charged interest if you don’t pay in full. Use this card to charge a couple of small items per month, like gas or a phone bill. Then make sure to pay in full on time every single month. After a little while, you will have enough on your credit history to qualify for a real credit card. 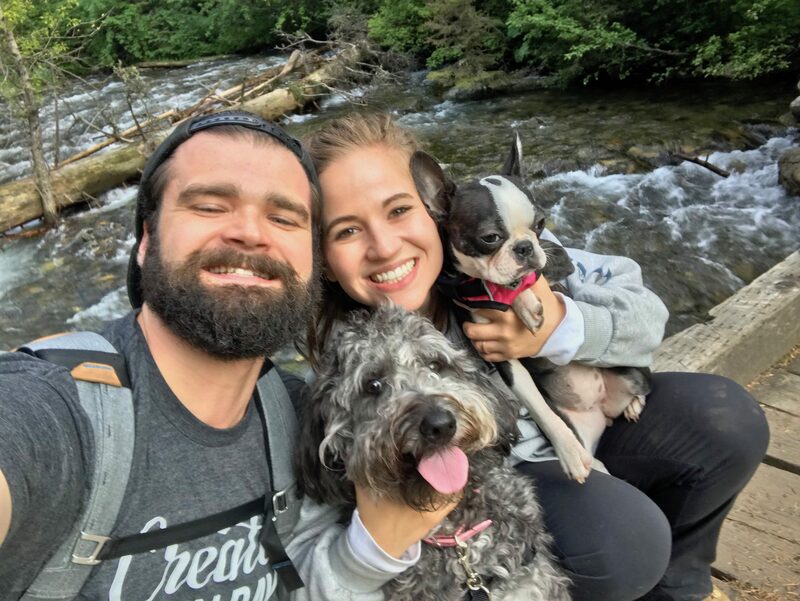 At that point, you will want to close the account, get your cash deposit, and open a real credit card account to continue to build your score. Wallethub has a great list of best credit cards organized by your credit score. Be sure to check out this list if you need a secured card. Also, if you’re a student, be sure to check out the many student credit cards out there. These are a great way to start building credit early. I got my first credit card at 18 years old and was able to have a credit score of 780 by my Junior year of college, and you can too! As far as what to do in order to get a high credit score, it’s relatively straightforward. Be patient, it doesn’t happen overnight. If you’ve already messed up, don’t fear, everything can be fixed with time. The biggest thing is that you need to make a commitment to getting back on track. If you are honest and really work, you can totally turn your finances around and get back on your feet. Focus on the big wins here. Your payment history makes up the largest chunk of your score at 35%. So try to get all of your loans and credit cards up to date on payments. Once you can get up to date that will help you take a huge step forward in getting back on track. If you can’t afford to do that right now, call your lenders and try to work out a new payment plan. Be open and honest with them about your situation, and explain that you want to make it right. After that, make a commitment to paying all of your bills on time moving forward. 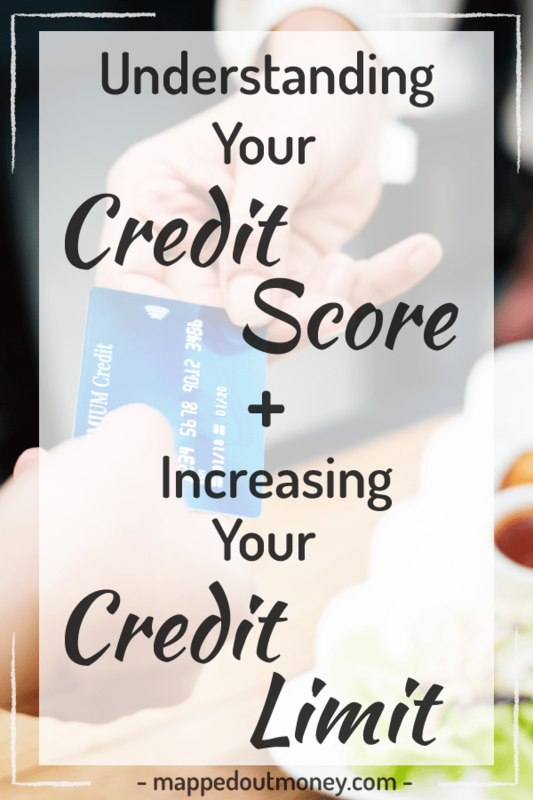 This single step could likely increase your credit score by leaps and bounds because it makes up such a large part. If you can, avoid closing any credit accounts unless they have an annual fee. In order to get a new credit card, you may need to consider getting a secured card like I discussed above. Lastly, if you are rebuilding, be patient. It can often take 60 – 90 days before you will see any improvement in your credit score. On top of that, depending on how bad your score is, it may take many months to bring your score up. Just don’t lose heart and try to focus less on the score, and more on fixing the problems that gave you that score in the first place. Unfortunately, because of the nature of a credit score, it can be difficult to raise it quickly. Like most other things with finance, you need to be patient. There’s no such thing as getting rich quick, and there’s no such thing as turning your credit score around overnight. However, there are a few ways for advanced credit card users to boost their scores and continue to see them rise. Once you are already doing all of the things listed above in the “building credit from scratch” section, you can start implementing a few other techniques to raise your score. But don’t even think about doing this unless you are mature enough to control your spending. Here are 4 tips to help you increase your score if you’re already a good credit user. Increase Your Limit: Call your credit card company and ask for a credit limit increase. <– This is only for people who currently pay in full and only put things on the card that they plan to get anyways. I first heard about this tip from Ramit Sethi, and he even explains how to call the credit card companies to ask for an increase. The big idea here is that you want to increase that denominator (the bottom number) of the credit utilization ratio discussed above. 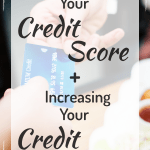 If you can increase the denominator and still charge the same amount to the card monthly, it automatically helps your credit score by lowering your utilization ratio. Get in the habit of calling your credit card companies and asking for an increase every 6 – 9 months. Tell them exactly what you would like it to be increased to, and give them a legitimate reason as to why you want an increase. Examples include getting married, moving, have some big purchases coming up, wanting to redecorate, and other major life events. 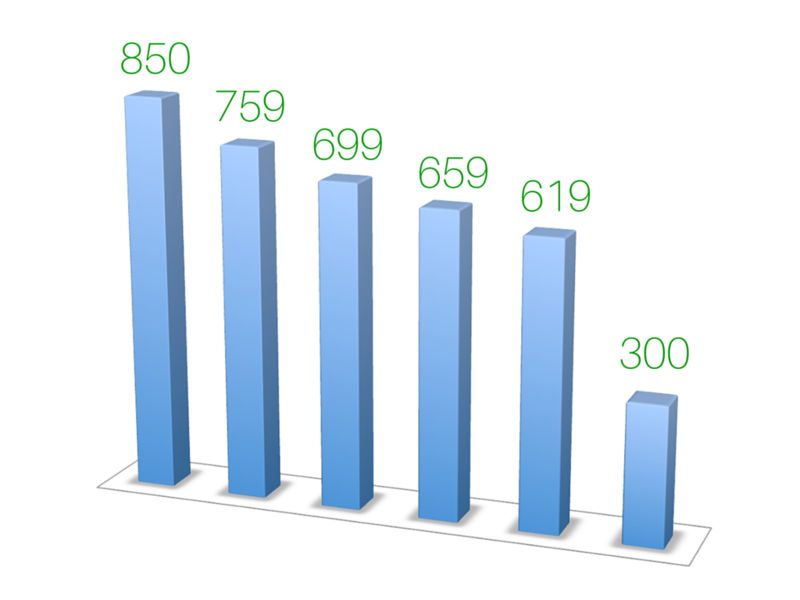 I’ve been able to consistently increase the limits on my cards and now have almost $40,000 worth of credit limits. This allows me to charge an entire months worth of expenses on my cards and still stay well under the recommended 10%. Get a New Card: Get a new credit card 6 – 9 months before you plan to need your credit score, like for a mortgage. Hopefully, if you’re planning to buy a home, you’ve been saving up for a downpayment. In that case, if you’re in the saving mode, it may be beneficial to go ahead and get a new credit card. Getting a new credit card will help increase your overall utilization ratio which again makes up 30% of your overall score. If you can get it 6 months before needing your credit score for a home purchase, this should give you plenty of time to recover from a slight dip you may experience due to the average age of your cards going down. Remember, though, the average age only makes up 15% of your score. If you can decrease your utilization ratio and maintain on-time payments, many people actually find that their overall score increases when adding a new card. Just be sure there’s no annual fee. Lastly, I understand that you don’t want to over-complicate your finance life. And if getting another credit card will only add stress then it’s definitely not worth it. Find Out About Reporting: Try to find out when your issuer reports to the credit bureaus, and pay multiple times per month. Give your credit card company a call and ask them when they report your information to the credit bureaus. If your bill is due on the 20th and they report on the 15th, that means you likely have a higher than normal balance because it’s right before your bill is due. Find out when they report and then pay your bill early by that date to lower the balance when they report to the credit card companies. This will keep your utilization ratio low and your credit score high. Use Automatic Payments: Set up automatic payments to ensure you never miss. As long as you know there will always be enough money in the bank to cover the bill, it’s wise to set up automatic payments. Like I said earlier, one-time payments make up a huge portion of your score. By making it all happen automatically, you can ensure that you never miss. Many people falsely believe that checking your credit will have a negative impact on your credit score. However, there are actually two types of inquiries the people use to take a look at your credit score. This hard inquiry goes on your report to tell lenders that you are pursuing or have recently pursued, more credit. These will stay on your report for 12 – 24 months and then after that will drop off. People worry about these, but it’s really not that big of a deal. They do not make that much of a difference to your credit score. And if you are doing everything else right, your score will jump back up (and maybe even go higher) shortly. If you have one or two hard inquiries it’s nothing to worry about. Lenders start getting worried when you have a lot of new accounts and inquiries within a short period of time. That tells them that you may be living beyond your means. Unlike a hard inquiry, a soft inquiry does not leave a negative mark on your credit report. They typically occur when a lender, broker, or insurance company monitor your credit for reporting purposes. A soft inquiry also occurs when a credit company reviews you for targeted “pre-approved” offers. These types of inquiries can only be seen by you when you check your credit report. They are not shown to the version of the report that lenders see when you are applying for new credit. Does Closing an Account Hurt Your Score? Another myth that people often believe is that closing a credit card account will hurt your credit score. That’s partly true, but not necessarily. Closing an account doesn’t hurt your score just because you closed the account. If your score goes down because you closed an account it is likely for one of two reasons. Either the account was older and now your average age of credit is newer, or your credit utilization ratio increased because your available credit decreased. You can avoid this by not closing credit cards that you have had for a long time. As long as there isn’t an annual fee, there is no reason to close the account. Just make sure to charge it and pay it off at least once every 6 months or so in order to keep the account active. For the utilization ratio let’s look at an example. Let’s say that you have $10,000 worth of credit limits across three cards. 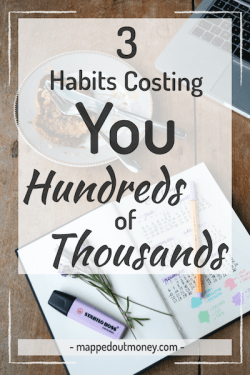 If you currently spend $1,000 per month, that means you are using 10% of your limit. If you close a card with a $4,000 limit and still spend $1,000 per month your utilization jumps from 10% to 17% because your available credit went from $10,000 to $6,000. So if you plan to close a credit card, be sure to decrease your spending on credit cards so that your utilization ratio stays the same. The very first credit card I got was the Discover It card. I’m a huge Discover fan. Their website is extremely easy to use, they don’t have any annual fees, the rewards are competitive, and their customer service is fantastic. I’ve had a great experience with them and always recommend them. One of the biggest perks of the Discover card is that they provide you with a free credit score every single month on your billing statement. Of course, like I said earlier, there are many scores out there, so which one does Discover use? Discover provides you with a free FICO score based on your TransUnion credit report. This is a huge perk and keeps me from having to pay FICO $15 to check my credit score. I love this so much, that I actually got a separate discover card for my wife when we got married just so we could get her credit score every month too. The other place I love to use for free credit score reporting is Credit Sesame. Credit Sesame is one of the only places I know of that actually provides you with a legitimately free credit score every single month. They don’t even ask for a credit card number, so there’s no way for them to even charge you money. I should point out that Credit Sesame does not provide you with a free FICO score like Discover. They use the Experian National Equivalency Score which is very similar to FICO and is (you guessed it) provided by Experian. While not exactly the FICO, it is very similar and helps give you a great idea of where you stand. I use both the Discover card and Credit Sesame together to keep a good eye on my credit. They’re easy, free, and accurate. What’s not to love. Apply for your first Credit Card (Secured if needed). *Again the above step by step process is assuming you always pay your cards in full and you never buy anything you wouldn’t (and couldn’t) but with cash. 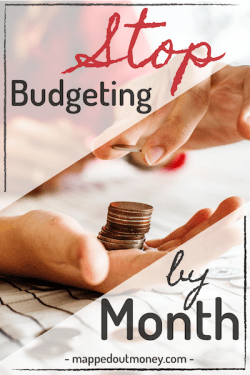 If it’s not in your budget, don’t charge it. I know this post is very long, but I hope you’ve made it here. You should now have a better understanding of all things credit scores. I do want to point out, that the score really doesn’t matter as much as you think. And it definitely doesn’t matter as much as lenders want you to think. The credit score is important to help you get a low rate on a mortgage and help you get some extra bonus credit cards. Other than that, you really shouldn’t worry about it. Of course, it’s important for all of the reasons I listed above, but it doesn’t indicate how financially savvy you are. 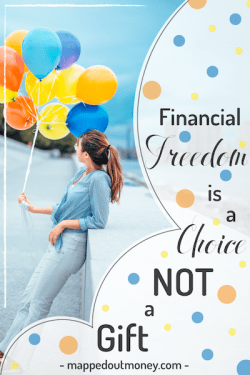 And it definitely doesn’t indicate how close you are to financial freedom. So take that for what it’s worth. Pay your bills on time, don’t spend a lot, and then don’t stress about it. 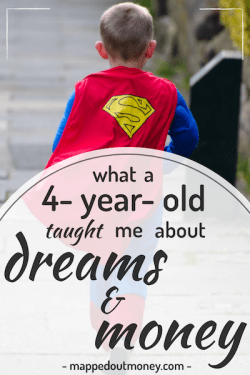 If you learned something from this post, I’d love it if you could share this with a friend. If you found this helpful, it’s likely that your friend will too! Very helpful! Thanks for taking the time to lay this all out. I think you bring a healthy balance to the “we hate credit card” crowds. You’re right, not having a credit score isn’t the end of the world, but it sure makes the world a lot more complicated when it comes to things like apartment renting. Thanks, Clari! I’m glad you found it helpful. I really appreciate you saying that about the balance between the credit card haters. You’re absolutely right, it’s all about balance!